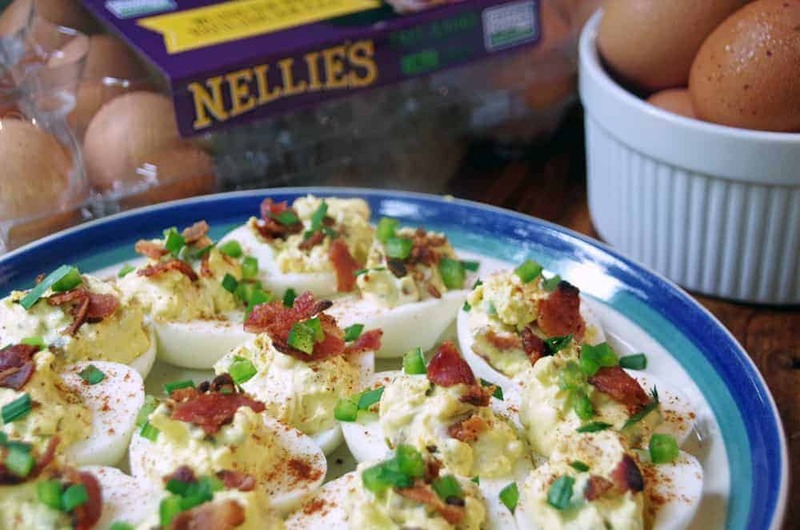 This Bacon Deviled Egg Recipe has been sponsored by CafeMom and Nellie’s® Free Range Eggs. All opinions expressed here are my own. Summer is almost here and the weather is warming up quickly. In less than one month, our pool will be open for kids to swim in. The pool parties, BBQs, and picnics will soon begin in full force. Summer in the south means plenty of watermelon, grilled meat, and picnic side dishes. One of my all time favorite side dishes at summer picnics is deviled eggs. I absolutely LOVE them and found some amazing variations on traditional deviled egg recipes. When I came across a bacon deviled egg recipe on Pinterest last week, I knew I wanted to give it a try. Doesn’t this look delicious? When I was contacted by CafeMom to share Nellie’s® Free Range Eggs with my readers, I knew this deviled egg recipe would be a perfect fit! I firmly believe that the quality of the ingredients you use effects the quality of your final product. Ever since my children were little, we have discussed the food we eat in great detail. When they were very young, we went to the grocery store and used the produce section as a way to learn our colors and do math. As they got older, they helped me grow vegetables in the garden. They came with me to the farm when I picked up our eggs and meat. They took a very early interest in food and animals because we discussed this idea regularly. 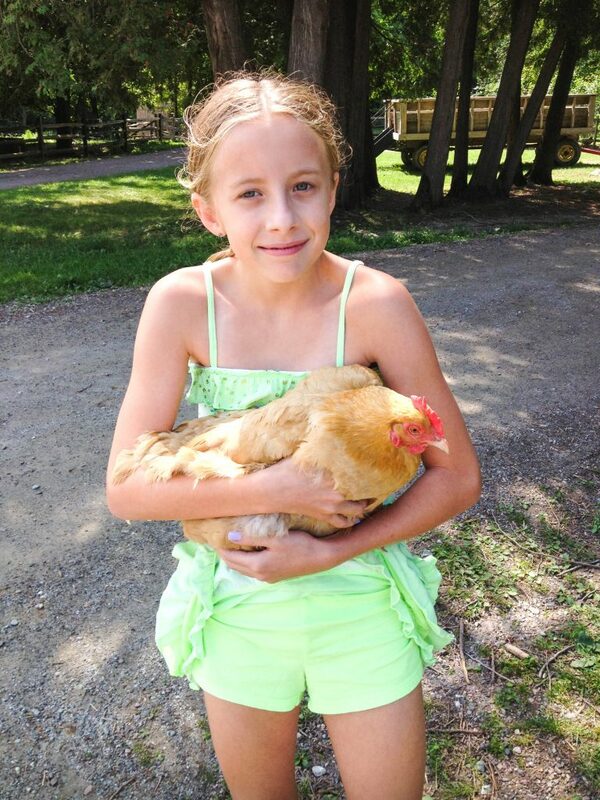 My kids know exactly where their food comes from and how it goes from farm to table. Because of this in-depth knowledge of our food system, we are incredibly passionate about choosing sustainably and ethically sourced animal products. It’s not always easy in the suburbs of a major city. I can’t have my own chickens, nor can I grow acres worth of my own produce. I rely mainly on summer farmers markets, a few friends, a local CSA, and the natural foods section of my local grocery stores. Yes, I pay more sometimes for the food we eat but I know that it was grown as sustainably and humanely as possible. Nellie’s® Free Range Eggs are one brand that I know meets my family’s high standards for food quality! Labels on food can be confusing and it’s important to know what you are really buying. Are you confused about the labels on some egg cartons? Is there really a difference between ‘cage free’ and ‘free range’ eggs? YES! There really is a difference! According to Nellie’s® Free Range Eggs, 9 out of 10 egg laying chickens live in tiny cages. That is just not cool! Cage free is a big improvement over conventionally raised chickens and many brands are moving to that over the next few years. However, cage free is not the same as free range! Generally, cage free means that chickens are packed into crowded warehouses rather than cages and still never see the outdoors. Still not a great way to raise living creatures. Free range eggs are different. At Nellie’s, all their hens are raised in a Certified Humane, free range environment. They have plenty of space to perch and socialize with easy access to the outdoors. They get real grass to peck, play with, and dust bathe in. There is access to antibiotic-free feed and fresh water at all times. I have watched our farmer’s chickens out in the yard. They love finding bugs to eat, dirt to play in and other chickens to interact with. I really believe that happy chickens make healthier eggs! 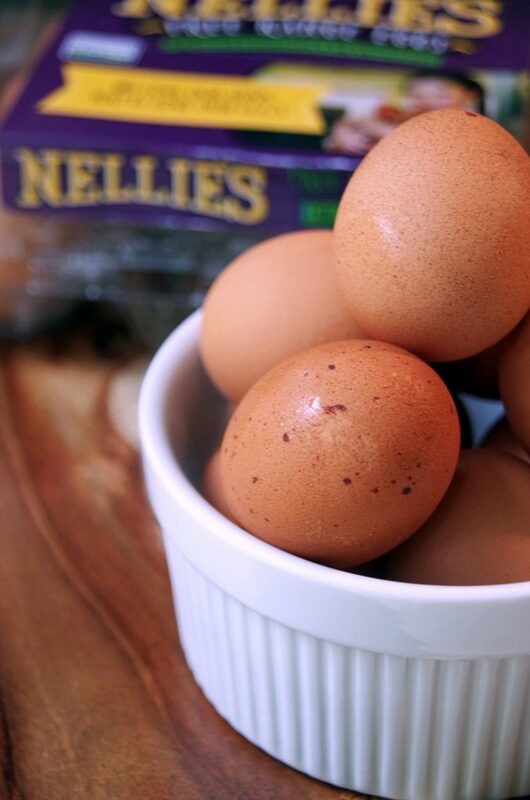 I love that I can find Nellie’s® Free Range Eggs in my local Publix year round. If you are as passionate about the quality of your food as I am, you know that choosing the best eggs will go a long way towards making your deviled egg recipe really stand out. Start with humanely raised, free range eggs from Nellie’s and make sure the rest of your ingredients are just as fresh and wholesome. 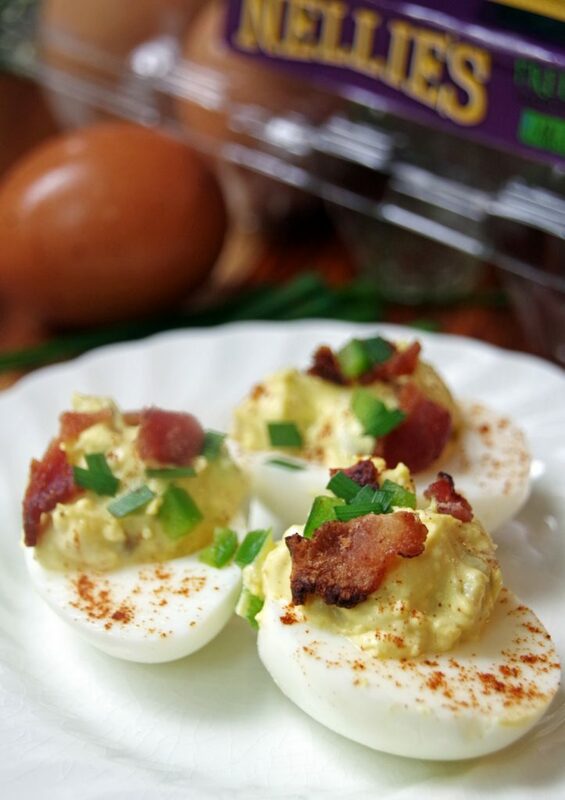 Naturally cured bacon, fresh jalapenos, and organic mayonnaise made this zesty jalapeno and bacon deviled egg recipe a huge hit and one I will be making regularly this summer! 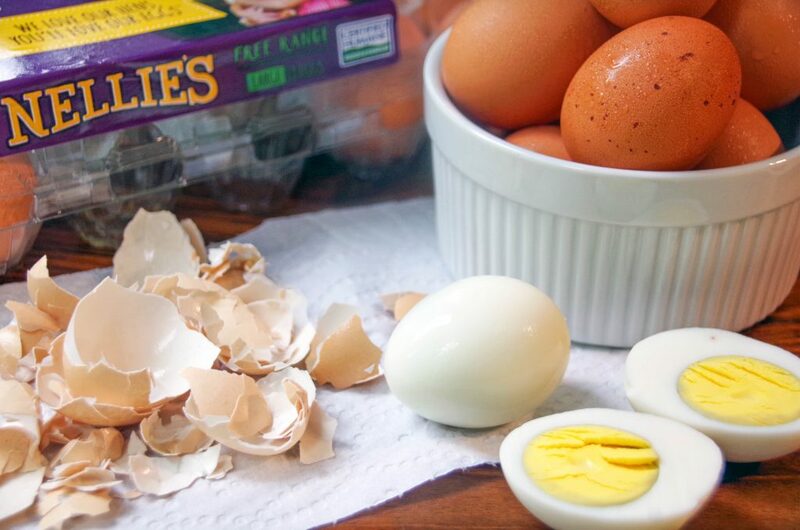 Gently slice each hard boiled egg in half. Place yolk into a medium sized bowl. Mash lightly with a fork. Sprinkle reserved bacon and jalapenos on top of eggs along with a few chives and a sprinkle of paprika. Want to learn more about Nellie’s® Free Range Eggs? Follow them on social media! 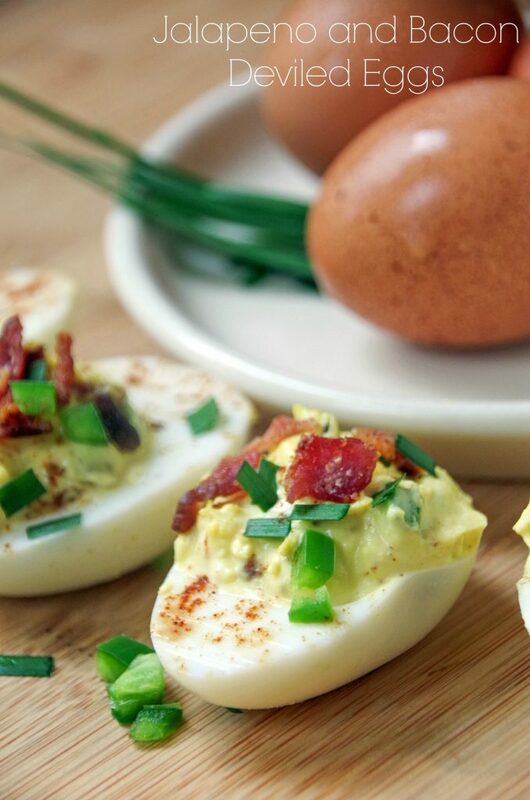 Like this Bacon Deviled Egg Recipe? Pin it for later! This sounds absolutely amazing! It's so important to understand where your food comes from! You know, I thought deviled eggs were perfect just the way that they were. I think you have proven me wrong. With jalapenos and bacon, they would be even better! Diane, I am a huge fan of deviled eggs. I sometimes just make them for a snack! iw ill have to try your recipe and kick things up a bit. They make a great snack...lots of filling protein! I read this and had to chuckle because we always have these discussions about deviled eggs when some of our family gets together, we all slightly disagree on what should be in them. My brother and his wife would really enjoy these. There are lots of great recipes out there...I have yet to find a deviled egg I don't like! What a delicious twist on traditional deviled eggs! We always purchase free range options and feel that humane care definitely affects the overall quality. Agreed. It is so obvious when chickens are happy and healthy by the quality of the eggs they produce! Knowing where your food comes from, and choosing the best and freshest ingredients is absolutely important. This recipe looks yummy. Going to have to give it a try.